All deals are valid until January 30th, 2018. Some exclusions may apply. 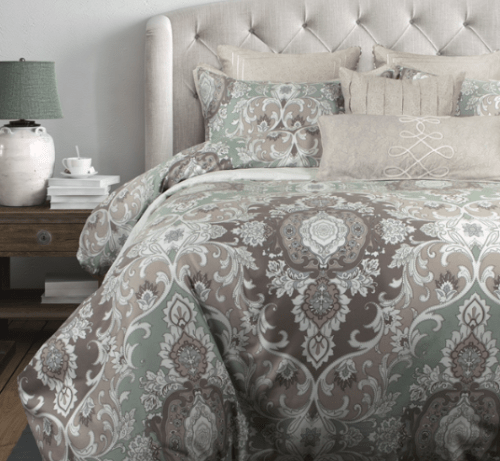 This best selling Carlingdale Bradbury Collection Duvet Cover is on sale for only $90.00 – $145.00, depending on your purchase of size (i.e., twin, double, queen). QE Home Quilts Etc. Canada wants you to save 50% off from the original price of $179.99 – $289.99. QE Home Quilts Etc. Canada offers FREE shipping to any store or to your home when you spend over $169.00. Click here to start shopping at QE Home Quilts Etc. Canada.